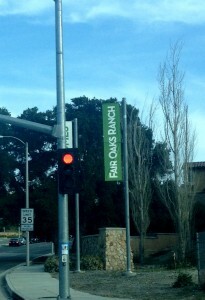 Has a friend or loved one been arrested and taken into custody in Fair Oaks Ranch? If so, there is a licensed, professional and local bail bondsman available immediately to help you out. Whether you have questions you need answered, or you want to begin the process to get your friend or loved one out of jail now, our local bail bondsmen are here to help you. Fair Oaks Ranch is located in Canyon Country, California in the Santa Clarita Valley. It’s right near the 14 freeway and Lost Canyon Road. No matter what time it is, or what day it is, if you need to speak with a local bail bondsman now, give us a call. Our staff is available 24/7 – 365 days a year to get your questions answered and bring you some peace of mind. We can be reached locally at 661-260-BAIL (2245). Being that Fair Oaks Ranch is located in the Santa Clarita Valley, it is the SCV Sheriff’s Station deputies who patrol the area. When someone is arrested in Fair Oaks Ranch, they will be transported to the SCV Sheriff’s Station to undergo booking and processing. Once this process is complete, it will be possible to bail them out provided that they are eligible for bail (and they almost always are). The SCV Sheriff Station Jail is small, so if no bail bond is obtained within 24 hours, it is highly probable that the inmate will be transported to either Twin Towers Correctional Facility, Men’s Central Jail, or the Lynwood Jail (in the case of women). All of these are much larger facilities and, should an inmate be transferred there, he or she will easily spend at least an additional 24 hours in custody as they are “processed in.” In order to avoid the transfer, the bail bond process should be begun as soon as possible. Booking and processing is the procedure in which fingerprints and photographs are taken, and a comprehensive national background check is conducted. Once this is complete, bail will be set as per the Los Angeles County Bail Schedule. The bail bond process is pretty simple. It begins by giving us a call and providing the name, birth date and date and time of the arrest of the inmate in custody. Once we have this information we can locate him or her within the system and verify their eligibility for bail. After that, it will be time to fill out a few short bail bond application forms and an indemnitor agreement, and that’s it! We will dispatch an agent to the jail and your friend or loved one will be released a few hours later. If you cannot meet with us in person at our local Santa Clarita office, the entire bail bond application process can be completed from start to finish via phone, fax or email. We know this can be a stressful time, and what is most convenient for you is most convenient for us as well. We accept major credit/debit cards including Visa, Master Card and American Express as well as cash, check (both business and personal checks are welcome), money order, bank account transfer and money wire. If you have additional questions regarding Fair Oaks Ranch bail bonds, please feel free to call us at any time. Our consultations are free, and we are always available to take your call. We can be reached at 661-260-BAIL (2245) or toll-free 855-414-2245.